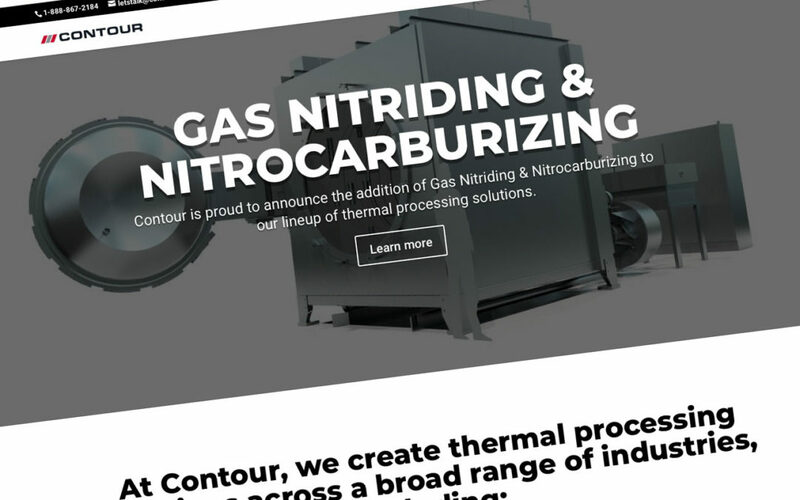 INDIANAPOLIS, Indiana, March 22, 2019 – Contour, a globally recognized leader in the heat treat industry, announced today the launch of its newly revamped website. This newly redesigned website offers quick and easy access to essential information and features that offers a more comprehensive understanding of the Company’s overall service offerings and the Company’s new direction under the leadership of President & CEO, Ben Crawford. The new website has a clean uncluttered design, improved functionality and enhanced rich content focused on the Company’s mission to provide the world’s most innovation and advanced Thermal Processing services. One of the key features of the new website is the ability to easily pre-promote new services and capabilities as they come on line and be instantally shared with our partners around the globe. Contour is a full service induction hardening system manufacturer, specializing in induction hardening systems, contract processing, and application development work. The company was founded in 1986 and brings more than 30 years of industry leading research and innovation in the discipline of heat treat techniques and processes.